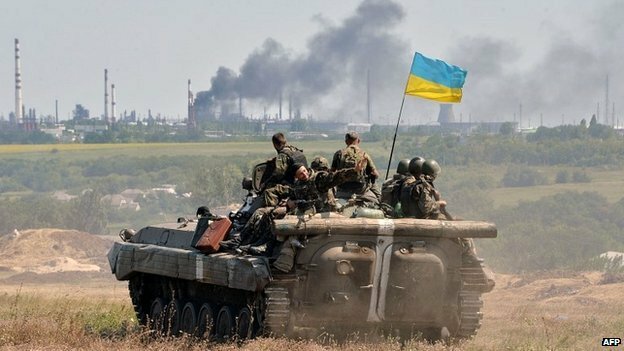 Until now the European Union (EU) has relied precisely on those tools and threats, namely its normative power, to face the state of affairs and to try to prevent Russia from getting more involved in the Ukrainian conflict. However, one cannot but admit that these methods, typically belonging to the liberal approach, have failed to avoid the Russian presence in the east of Ukraine, the subsequent beginning of a civil war and the more than probable conversion of the situation into a frozen conflict that reminds of the ones of Abkhazia and Ossetia, Nagorno-Karabakh or Transnistria, which are actually used by Russia to destabilise and gain influence in the region. 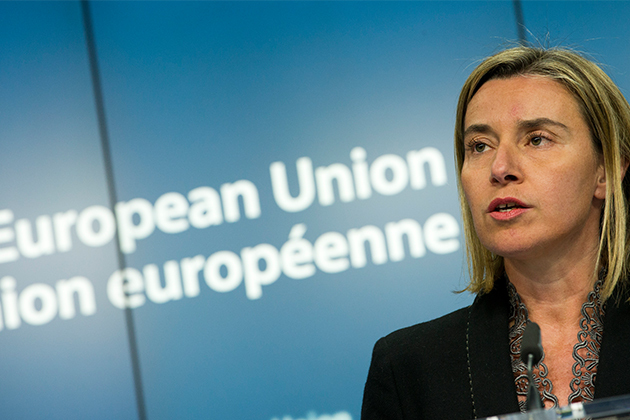 Under these circumstances a change of policy is highly needed and, hence, High Representative (HR) Mogherini’s priority should be to adopt a more realist approach towards Russia to contain its revisionism and a possible threat to our security. As Mogherini herself stated at the European Parliament on 02 September 2014, “strategic partnership with Russia is over, clearly it’s over”, and thus a new stronger approach is required. To support this claim, in this paper I will firstly examine the position of Russia as an offensive realist actor. Secondly, I will explain why this realist nature can pose a threat to the EU, both with regards to the Union’s territorial integrity and energy security. Thirdly, I will study why the liberal approach used so far by the EU is not enough to respond to the situation and, therefore, why a change of policy should be adopted. Last but not least, I will explicate why a more realist position will be beneficial for the EU and what concrete steps are needed to implement this approach. To begin with, I will explain why Russia can be considered as an offensive realist actor. It is not the aim of this paper to focus excessively on theoretical classifications or philosophical debates. However, due to its explicative power and its usefulness to better comprehend the Russian behaviour, it is worth mentioning three points belonging to the offensive realist theory: 1) great powers are rational actors whose main goal is to survive; 2) all great powers are revisionist until the moment they become hegemonic; and 3) for a great power, the only way to guarantee its security is to accumulate a bigger power quota than the rest. Bearing in mind these characteristics, Russian position finds a coherent explanation. As Pierre Hassner puts it, “Russia’s foreign policy cannot be fully understood without taking into account the postimperial humiliation and resentment of the Russian people and the neoimperial ambition of its leaders”. When the Cold War came to an end, Russian leaders regarded the presence of the United States (U.S.) and NATO in Europe positively as a way to keep a reunified Germany pacified. Nevertheless, they did not expect the subsequent NATO and EU enlargement, which included the ex-soviet Baltic countries in 2004. This fact, added to the ‘colour revolutions’ taking place at the same time in Ukraine and Georgia, triggered a feeling of dissatisfaction within Russia and the desire of recovering its position as a great power. The result is that, since 2004, Russia switched its - until that date - collaborative approach towards the West for a tougher one. Behaving as the offensive realist great power it wanted to become, Russia considers NATO/EU enlargements and their further relations with countries belonging to its ‘backyard’, especially Ukraine and Georgia, as a threat to its survival. In order to face this threat, Moscow needs to accumulate more power and influence, above all in its direct neighbourhood, which explains why “Putin’s highest priority is to oppose ‘colour revolutions’” as well as to avoid the promotion of the EU’s normative power in those countries. Consequently, he did not hesitate to show the Russian revisionist nature when he felt that national interests were at stake in Georgia and Ukraine. In the summer of 2008, after President Mikheil Saakashvili’s attempt to bring the separatist regions of Abkhazia and South Ossetia back under Georgia’s control, Putin decided to send the army to maintain the Russian influence in those regions. However, his goal was not uniquely to preserve the status quo, but rather to revise it. In that conflict, Putin showed for the first time his true intentions to seize any opportunity at his disposal to broaden his influence and to keep his neighbour countries weak and out of the West’s reach. In order to do so, Putin chose direct means, namely military intervention and war, to tackle the problem. On the other hand, indirect means have been used in the Ukraine crisis for the same purpose. After Viktor Yanukovych fled to Russia and a new pro-European government reached the power in Kiev in February 2014, Russia has promoted uprisings, funded separatist groups and militias in the eastern part of the country, annexed Crimea and sent arms and unidentified military staff to support the pro-Russian groups. These two different responses - direct and indirect - are the Russian tools to achieve its revisionist goals and not merely to defend the status quo, as demonstrated with the annexation of Crimea. Russia is a great power which shall preserve the sovereignty of the nation by all means. This has been translated into an increase of the military budget by 100% in the last 10 years, as well as in the presence of Russia in the most important international forums to enable them to participate in the decisions regarding other zones of the world. “Russia and the Russian world constitute a ‘singular civilization’, neither Occidental nor Asian, which rests on the Christian values and a ‘historical mission’: to defend the traditional values against a materialist and decadent Occident” (author’s translation). The Russian Diaspora, meaning that “the Russian people have become the largest people disperse worldwide” (author’s translation). This situation implies an obligation for Russia to protect and defend Russian minorities wherever they are. Once the reasons why Russia behaves as an offensive realist actor have been understood, it is time to see whether this condition can pose a threat to the EU. From my point of view, there are two significant dimensions in which Russia can threaten the EU: the territorial integrity and the energy security. Starting with the former, Russia has toughened its speech towards countries such as Poland, Estonia, Latvia or Lithuania. The Baltic countries are precisely the most vulnerable to the Russian interference. In all of them, there are “sizeable Russian minorities and significant cultural, historical and political ties with Moscow. Russian minorities constitute more than a quarter of the populations in Estonia and Latvia and around 6 percent of Lithuania”. Those minorities live under difficult conditions because, for instance, Russian is not an official language in any of these countries, which impedes their full integration. Furthermore, in Estonia and Latvia, Russians have not acquired the local nationality, preventing them from voting and participating in the political life. If we combine these factors with the fierce anti-Russian rhetoric used by these States, having acted as promoters of the Eastern Partnership and advocates of a stronger response to the Ukrainian conflict, and if we also take into account Putin’s theoretical obligation of defending the Russian minorities abroad, as stated before, one can see that the menace is undeniable. It is, of course, true that the fact that the Baltic countries belong both to the EU and to NATO would render it more risky for Russia to take them on. However, there are already proofs of Russian attempts to destabilise those countries, regardless their membership to the cited organisations. “Protests by pro-Russian groups became a frequent element of Baltic politics long before the Ukrainian crisis” and, in 2007, a series of cyber-attacks blocked the Web pages of the most important institutions and banks in Estonia, plunging the country into chaos during several weeks. Estonia blamed Russia for the attacks and even attempted to force NATO’s intervention via article 5 of the Chart, but its claims were not backed by the Organisation. The question is, therefore, whether the EU or NATO would be united or fast enough to give a coherent and strong response to an eventual attack from Russia – an attack which would probably be of an indirect nature and, hence, more complicated to identify and to face. “Moscow is unlikely to take military action against the three former Soviet republics due to their membership in NATO. However, Moscow's ability to manipulate Russian minority populations, along with the possibility of trade blockades and the potential exploitation of the Baltics' dependence on Russian energy, remains a significant threat”. “Central Europe (with the exception of Romania […]) draws roughly 70 percent of the natural gas it consumes from Russia. Belarus, Bulgaria and the Baltic states depend on Russia for 90-100 percent of their natural gas needs. Russia has used this dependence to influence these states' decision-making, offering beneficial terms to states that cooperate with Moscow, while charging higher prices and occasionally cutting off supplies altogether to those that don't”. To avoid this over-dependence the EU committed itself to diversify its energy mix and sources of imports. In May 2014, the Commission proposed a European Energy Security Strategy (EESS) as guide to achieve this goal. However, the alternatives proposed to concentrate on areas such as the Middle East and South Caucasus, whose countries lack political stability and can be under the Russian influence. Moscow is aware of this situation and, therefore, can use the European energy dependency as leverage to threaten the EU stability and weaken its decision-making process, as recently has been shown by trying to influence Hungary. To face the two threats that an offensive realist Russia can create, the EU cannot exclusively rely on its normative power anymore. Firstly the liberal approach, consisting in promoting values, democracy and rule of law, as well as building economic links and trade associations, has been part of the reason why Russia became an offensive realist willing to intervene abroad. It would be an oversimplification to argue that the Georgian and Ukrainian conflicts were caused by the expansion of western values, but as Mearsheimer points out, “the West’s triple package of policies -- NATO enlargement, EU expansion, and democracy promotion -- added fuel to a fire waiting to ignite”. Secondly, believing that the economic interdependence between Russia and the EU will prevent any kind of conflict would be excessively optimistic. Indeed, Russia has shown its ability to also use economic punishment on the EU by sanctioning it back and banning the imports of EU agricultural products. Apart from that, as it has already been mentioned, Russia’s more powerful economic arm is energy, and Putin has used it repeatedly as leverage to influence European politics. 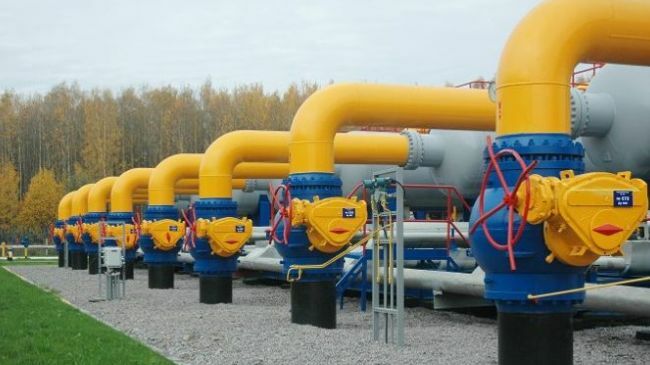 Furthermore, even though “Russia exported 71 % of its gas to Europe” in 2013, the new gas agreements reached between Russia and China will drop the Russian dependency on the European markets, which will make the liberal approach less useful for the EU. Thirdly, despite the fact that the sanctions imposed on Russia seem to be working, regarding the current depreciation of the ruble, their full effectiveness depends on the oil prices to the same extent as on the ban of energy technology and funds, due to Russia’s complete economic dependency on its energy sector. For this reason, the EU will never be able to control the whole repercussion of its sanctions, simply because it cannot control the oil price. The latter largely depends on the politics of production of the big oil suppliers. Currently the most important supplier, Saudi Arabia, has decided to keep on producing so that it can maintain a low oil price. However, eventually the prices will rise, and the sanctions on Russia will then become less effective. “considers the security of this broad region to be our responsibility, […] because our comprehensive regional policies will not be credible if the impression persists, as in the past, that our engagement ends where hard security problems begin”. “The EU must also display the ability and the will to use force, first of all as a credible deterrent that will enhance the effectiveness of its diplomacy”. Yet, the means to achieve this goal have still to be improved. The decision of using force is very delicate and requires a high degree of consensus and cohesion. Hence, it is necessary for the EU to first work at the decision-making level to build up political agreements and to have a united position for facing common threats. In order to do so, my recommendation would be to create a Council of Ministers of Defence able to coordinate the military efforts of the Member States. Moreover, the edition of a European Defence Whitepaper would shed light upon the EU common priorities and interests in defence and the available budget to enforce them. The Commission should also join up efforts with the External Action Service to facilitate a cohesive approach. All these measures will ease further integration at the operational level, which is necessary to conduct joint operations with rapidity and effectiveness. Having clear objectives and a common vision would reinforce mutual trust and benefit collaboration to create a united military industry, training and structures, which are indispensable requirements for multiparty action. It would also enable the EU Battlegroups to go into action if needed, because it would reduce the political disagreements and allow for a quicker response. In the event of an indirect conflict with Russia regarding the Russian minorities in the Baltic countries, the EU Battlegroups could “provide robust peace enforcement on a more limited scale […] alongside civilian assets, as part of the EU’s ‘comprehensive approach’”. These military measures would complete the liberal approach, which also needs to keep applying to reduce the threats. The EU should maintain the economic pressure on Russia via the implementation of sanctions against its energy sector while trying to enforce the EESS, concretely the improvement of interconnections between States, allowing solidarity among countries; the diversification of external suppliers to reduce the dependency on Russia; and the coordination of national energy policies, to avoid Russian influence on some Member States. This paper has shown why Mogherini’s priority should be to adopt a realist approach towards Russia. When facing a neighbour reasoning in terms of realpolitik, who has demonstrated its revisionist nature and who can pose a threat to the EU’s territorial and energy integrity, only a realist policy based on balance of power can guarantee the security for the eastern border of the EU. Therefore, steps should be taken to create the necessary cohesion within the EU to make possible the use of force if needed and to reduce the energy dependency on Russia. J. J. Mearsheimer, The Tragedy of Great Power Politics, New York, Norton, 2003, pp. 30-32. P. Hassner, ‘Russian Transition to Autocracy’, Journal of Democracy, vol. 19, no. 2, 2008, p. 11. Hassner, op. cit., pp. 11-13. Mearsheimer, Why the Ukraine Crisis is the West’s Fault, op. cit. Hassner, op. cit., p. 13. J. Rupnik, ‘Voisinages, Démocratisation et Géopolitique’, in J. Rupnik (ed. ), Géopolitique de la démocratisation, l’Europe et ses voisinages, Paris, Presses de SciencesPo, 2014, p. 63. S. Biscop, ‘Game of Zones. The Quest for Influence in Europe’s Neighbourhood’, Egmont Royal Institute for International Relations, no. 67, 2014, p. 6. European Commission, Communication from the Commission to the European Parliament and the Council: European Energy Security Strategy, COM(2014) 330 final, Brussels, 28 May 2014, p. 2. European Commission, op. cit., p. 15. European Commission, op. cit., p. 2. J. Ćwiek-Karpowicz & S. Secrieru (eds. ), Sanctions and Russia, Warsaw, The Polish Institute of International Affairs, 2015, pp. 81-84. Biscop, op. cit., p. 11. 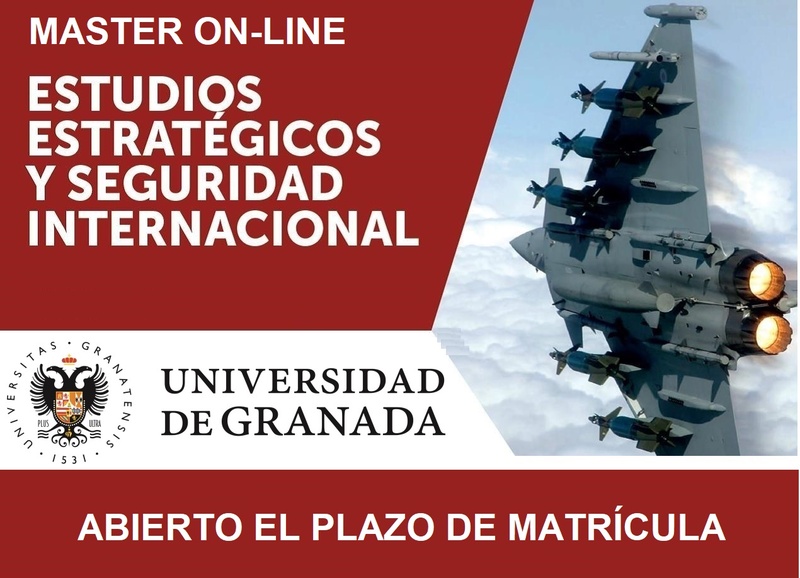 A. Barcikowska, ‘EU Battlegroups – ready to go?’, European Union Institute for Security Studies, no. 40, 2013, p. 2.